The JSE edged higher along with other global markets on Wednesday to mark the end of a forgettable month of October for stock markets. The Chinese mainland equity benchmark rose despite a decline in the Non-Manufacturing and Manufacturing PMI numbers recorded in the numbers released early on Wednesday morning. In Shanghai, the main index closed 1.4% firmer, while the Hang Seng and Nikkei gained 1.6% and 2.16% respectively. In Europe, the upward trend was similar as all the major indices were trading in the green. US markets were buoyed by better than expected profit margins out of giants, Facebook and General Motors. On the JSE, Naspers [JSE:NPN] led gains on the All-share index after its Hong Kong listed associate rallied 5.87% to close at $HK267.00. Subsequently, Naspers jumped 9.4% to end the day at R2 592.68. Diversified miner, Anglo American PLC [JSE:AGL] surged 4.85% to close at R315.63, while its industry peer, BHP Billiton [JSE:BIL] managed to strengthen to R293.69 after the stock gained 4.75%. Rand hedge, Richemont [JSE:CFR] added 4.42% to close at R107.94, while Mondi PLC [JSE:MNP] gained 5.39% to close at R351.75. Platinum miner Impala Platinum [JSE:IMP] was buoyed the release of its production update which resulted in the stock leapfrogging by 10.34% to close at R27.20. Commodity trading giant, Glencore [JSE:GLN] posted gains of 6.1% to close at R60.32, while Kumba Iron Ore [JSE:KIO] added 5.86% to end the day at R289.00. Gold miners continue to retreat due to the strengthening US dollar. Harmony Gold [JSE:HAR] lost 3.05% to end the day at R27.93, while Gold Fields [JSE:GFI] pulled back by 0.78% to close at R39.19. 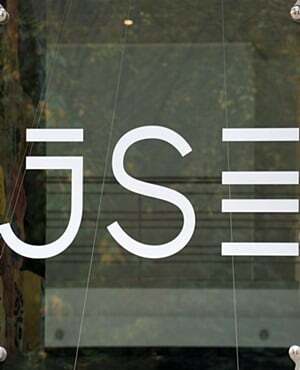 Banking shares were also softer, which saw ABSA Group [JSE:ABG] drop 2.22% to close at R149.11, while FirstRand [JSE:FSR] fell to R64.72 after losing 0.4%. The JSE All-share index eventually closed 3.22% higher, while the JSE Top-40 index gained 3.61%. Industrials recorded one of its biggest intra-day gains after it jumped 4.4%, while the Resources and Financials indices gained 3.99% and 0.43% respectively. The rand buckled as the dollar extended its gains. The local currency fell to a session low of R14.85 against the greenback before it was recorded trading 0.47% weaker at R14.79/$ at 17.00. At 17.00 Gold was down 0.67% to trade at $1 214.73/Oz, Platinum was up 0.2% at $838.19/Oz and Palladium was 0.41% firmer at $1 081.93/Oz. Brent crude fell to a session low of $75.42/barrel before it retraced to trade at $75.77/barrel just after the JSE close. At 17.00, Bitcoin was down 1.6% to trade at $6 251.30/coin, and Ethereum had lost 2.03% to trade at $193.50/coin.